The health benefits of green tea have been extolled for centuries. In his 12th-century book Kissa Yojoki, the Japanese Zen priest and explorer Eisai claimed that green tea was beneficial for the heart and is also an elixir leading to a long life. Centuries later, people are still drinking green tea for its medicinal value. But instead of wandering priests, health magazines are now promoting green tea as a super drink that can help with everything from weight loss to cancer. Not quite an elixir for long life, but not that far off. Green tea comes from the same plant, Camellia sinensis, as its more famous cousin, black tea. The only difference is the green tea leaves are younger—they haven’t withered and become oxidized after harvesting. Of all the tea consumed in the U.S. in 2017, 13 percent was green tea, according to the Tea Association of the U.S.A. Although a bitter cup of green tea might put you off the brew for life, the taste really depends on how it is made. If the tea is bitter, it’s because the leaves have been soaked in water that was too hot or left in the water too long. Green tea is best when it’s seeped in water just less than boiling (about 180 degrees F/82.22 degrees C) for just a few minutes. It will take on a sweet, earthy taste. How much of the stuff should you be drinking? Daniel O'Shaughnessy, director of nutrition at The Naked Nutritionist, says it depends on a few factors. “A lot of research looks at four to five cups per day but this depends on the person, as some people are caffeine sensitive,” O'Shaughnessy told Newsweek. Matcha is finely ground powder made from specially grown green tea leaves that have been shade grown and had the stems and veins removed. “Matcha is concentrated green tea and contains more antioxidants, says O'Shaughnessy. He recommends matcha from Japan, such as Ippodo tea. Be wary of green tea supplements, especially when purchased online—they have been known to cause serious liver damage. Anecdotal evidence of green tea’s benefits is plentiful, but what does the science say? 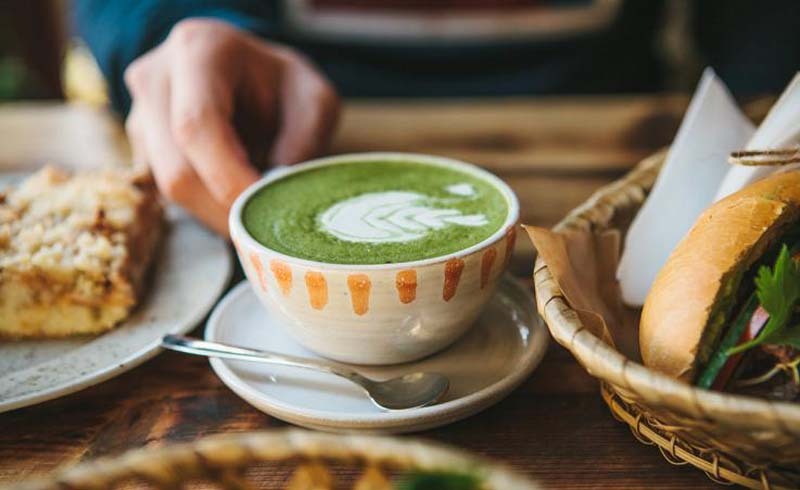 While the drink’s virtues have been overstated, a growing body of research shows that there are still solid benefits to making green tea a regular part of your diet. Long-term trials are needed to really confirm the effect of green tea on heart health, but preliminary research is promising. One study examined 11 scientific trials and found that black and green teas have a beneficial effect on lipid levels and blood pressure. A recent Harvard Medical School report points out that green tea flavonoids, a kind of chemical found in tea, “help quell inflammation, and that in turn may reduce plaque buildup inside arteries.” The researchers say that tea drinkers tend to have better cardiovascular health, although it’s not clear whether it’s due to the tea or environmental and behavioral factors. Green tea reportedly can also help lower cholesterol. "Green tea increases the antioxidant capacity of the blood, which lowers cholesterol and protects cholesterol LDL pathways from oxidation, reducing risk of cardiac events,” says O'Shaughnessy. Green tea has plenty of polyphenolic compounds, the type of antioxidant that reduces chronic disease by improving the cellular function of tissues. But polyphenolics are also found in most fruit and vegetables, so you don’t need to drink tea to get the benefits. While EGCG is beneficial, the jury is out on whether it definitely decreases the risk of getting cancer. An overview of 51 studies found some evidence that green tea could be helpful in reducing lung, pancreatic and colorectal cancers. Polyphenols in green tea have been shown to have antimicrobial and deodorant effects, which can neutralize the volatile sulfur compounds that cause bad breath. Green tea also has antiviral properties, which can affect both bacteria and fungi. Actually, the anti-viral properties of green tea are perhaps the most supported of its health claims. The Food and Drug Administration has approved a green-tea extract ointment for treating genital warts. 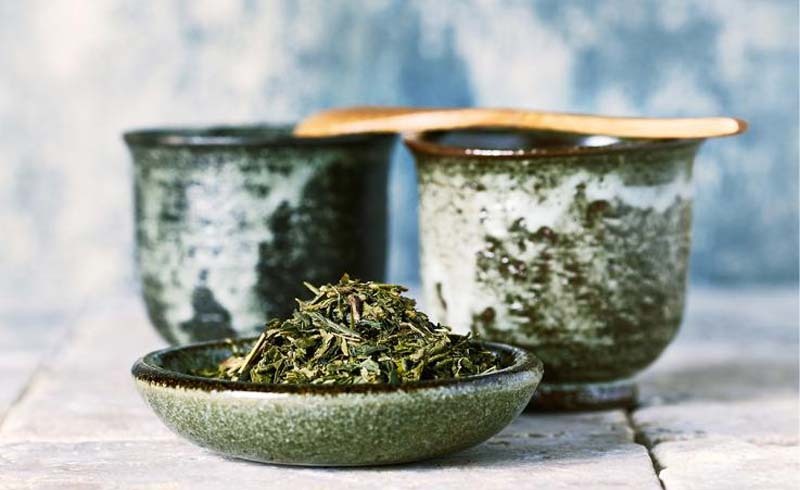 “Green tea contains caffeine which is a known stimulant, but it also contains L-theanine which increases GABA [gamma-aminobutyric acid] in the brain, which helps promote calm,” says O'Shaughnessy. L-theanine, an amino acid, is also linked to focus and sleep. Studies show it reduces anxiety and improves memory, attention and general brain function. Don't mistake green tea for some kind of diet miracle. It won't burn calories any faster, but it can make a difference if you use it to replace sugary coffee drinks. Just make sure to order it unsweetened.